Singapore is known for is its love of food. For such a small island (274 square miles) Singapore’s eateries rival that of any large country. In 2012, Singapore was voted Asia’s culinary capitol and with an average of two restaurants opening daily, this little red dot is a foodie’s paradise. Joey and I love any kind of food, seriously, why and how we’re not 400 lbs. is beyond me. We very much enjoy café style eateries and the awesome treats and coffee they often serve. 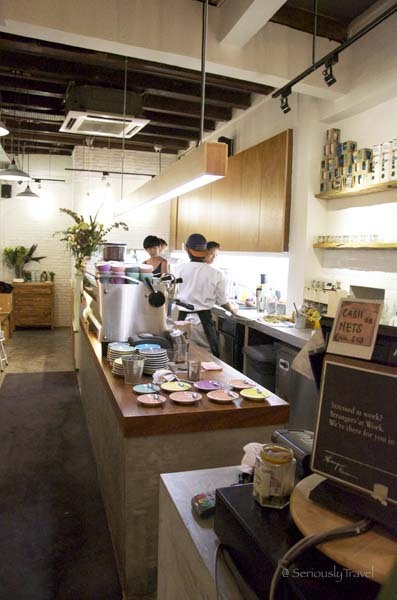 The following is a list of Cafes that we recommend to visitors and residence alike. Now, this list isn’t in any particular order. Each place is unique and has its own individuality. There are 3 locations across the island and each is making quite a fuss with the young crowd. I visited the Kampong Bahru Road site located in a strip of shop houses. This unexpected gem offers fusion food that is truly fantastic. The atmosphere is laid back and service was excellent. The crowd is young but the best thing about the experience is Stranger’s coffee, absolutely a must try. 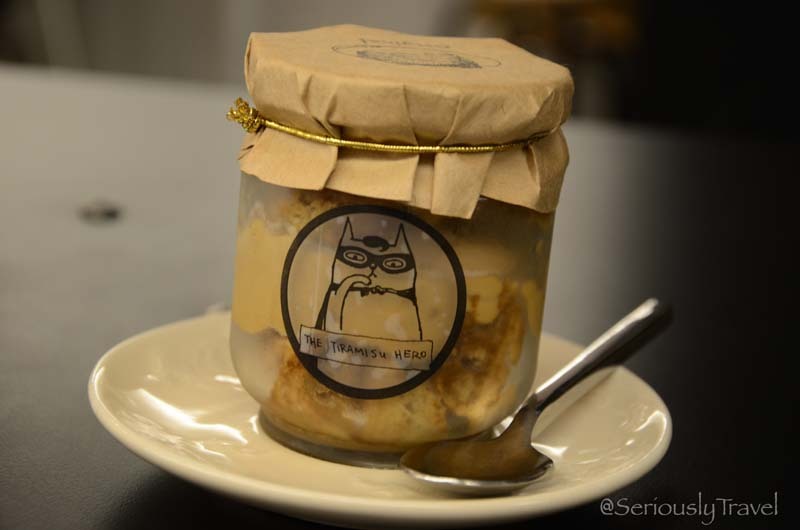 Stranger’s boasts an award winning Barista and after the first sip you realize why. 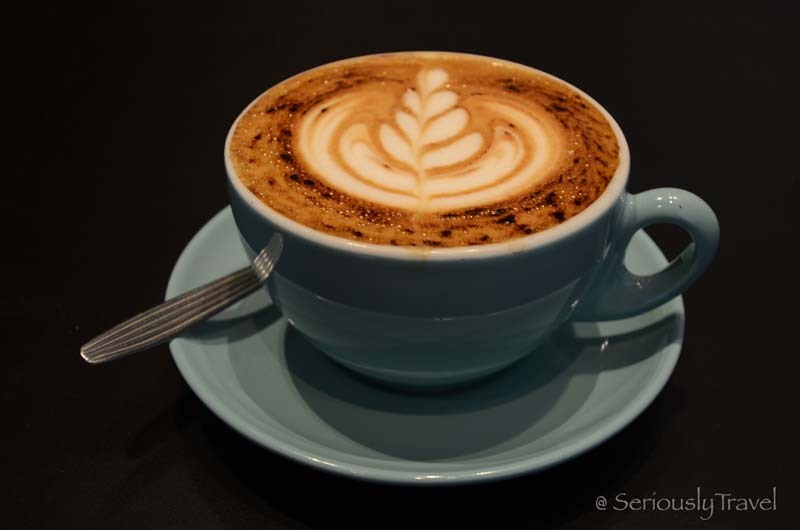 FYI – the signature coffee, Cup of Magic…really is magic! Now this place was truly a delight to visit. It’s eclectic interior and menu offers the visitor a rare experience. It’s located in an obscure location but worth the search. One of the menu selections is Mac and Cheese and it’s done right! For this expat it was a pleasant taste of home. As the name suggests, the Tiramisu is a must try. The presentation is unique and the chef offers several different flavours. This little café is distinctive and sets itself apart from other cafés. 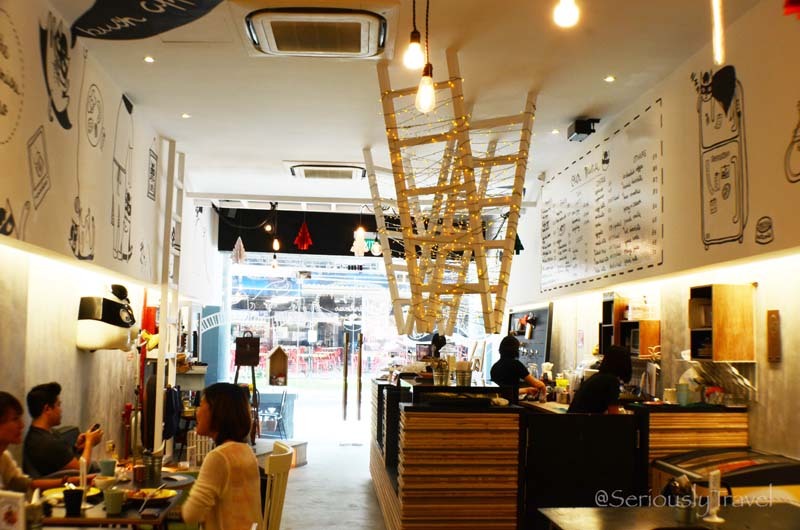 This narrow café is a trendy little place tucked in a row of shop houses not far from Chinatown. The staff is young and friendly and immediately attended to me when I walked in. I had a delicious Cappuccino, which was perfectly made and served quickly. They provide only brown sugar so bring your own packets if you prefer sugar substitutes or regular. They also serve simple, unpretentious food and I’m told the pancakes are amazing. The owner changes the menu often for variety which keeps its patrons coming back. This unique little place serves a variety of delicious sandwiches, salads, baked goods, coffees and teas. When I was there the crowd was a good mix of both the young and young at heart. The staff was friendly and served me quickly. It’s a great place to meet up with friends, colleagues, or to go by yourself for a quiet place to read a book and enjoy some alone time. Out of all the Cafés that I have been to so far, this one is my favorite. I happened upon it while walking around East Coast Road and am so happy I did. 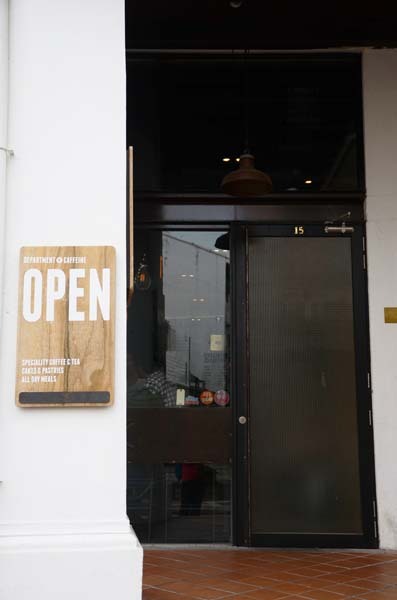 Although they have takeaway only, you can enjoy your purchases outside on one of the two tables available; they’ll even warm your food up for you. The staff was absolutely fantastic. Michelle, a wonderfully warm and friendly associate, was happy to show me the variety of tarts, both savoury and sweet, that Simply Eden offers and explained the set menus for that day. 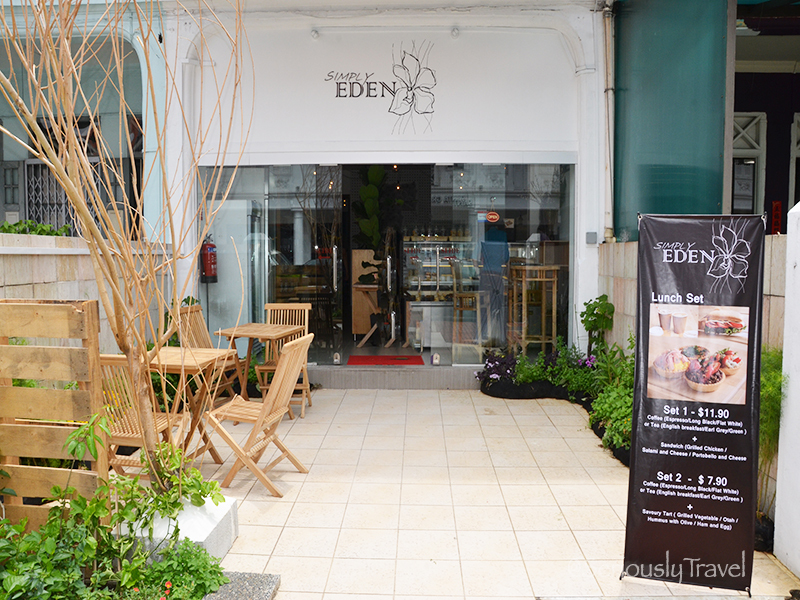 Simply Eden serves great teas, coffees, sweets, sandwiches, and salads that are prepared by Chef Clement Ng whose passion for cooking is obvious in every bite of his creations. Please check out their website for a comprehensive list of everything they offer. 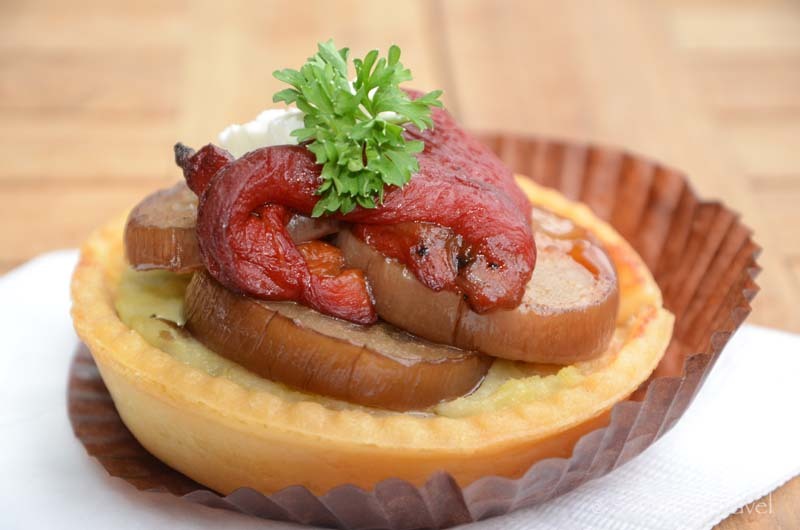 I had the vegetable tart with mashed potato, zucchini, and capsicum filling. The veggies where cooked perfectly, the mashed potato creamy and not over salted. But my favourite part was the delicious crust! It was soft and flaky and to die for!! I also had a hot, healing tea that was wonderful. When I was finished with my little lunch, everyone on the staff enquired about my experience. They even asked my opinion of the crust as, I was informed, they were considering changing the recipe. I adamantly told them I thought it was divine as is, and was happily informed they would leave the recipe alone!! I was introduced to each of the staff by name and they sent me on my way with warm wishes. This was a truly wonderful experience and I would highly recommend visiting this little jewel of a place. Since we won’t recommend anything that we haven’t tried, the above list was not just a fun one to put together, but an eating experience that put on at least 5 lbs.…back to dieting for me!